Sometimes a real estate agent just can't get the job done. Now you can have an experienced professional make a fair, ALL CASH offer on your house and close on your time frame. We can normally pay all closing costs associated with the transaction, which will save you thousands in fees. We buy houses with cash and close quickly. 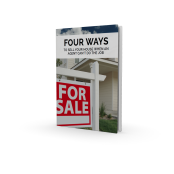 Plus, just for visiting we'll send you our brand new FREE report "4 Ways To Sell Your House When An Agent Can't Do The Job." © Atlanta First House Buyers All Rights Reserved.